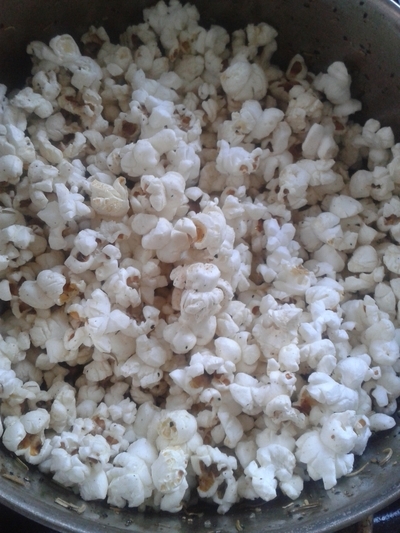 Popcorn is usually a sugary treat, enjoyed at the cinema, but here's a savoury twist, which is just as good. 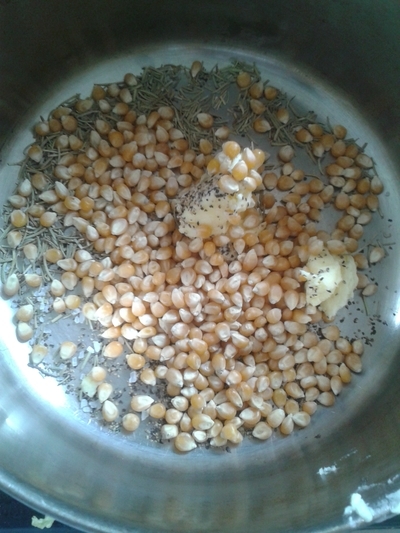 Making popcorn yourself you save on the fat, salt and unnecessary sugar. I whipped this batch up at my friends home, and her six year old daughter was in her element watching the popcorn 'pop' right before her eyes. 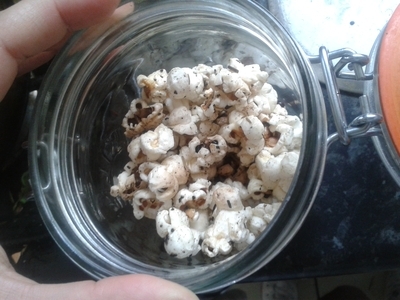 It makes a more enjoyable snack when the kids see how something is made, and this savoury version of the cinema-food classic is much healthier too. 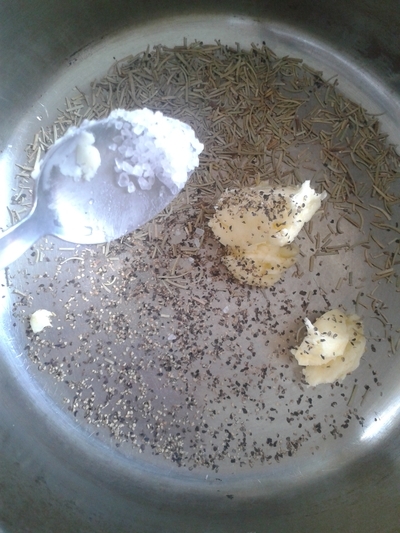 Add the butter and seasoning to a large saucepan. Place a lid on top and turn the heat to low. 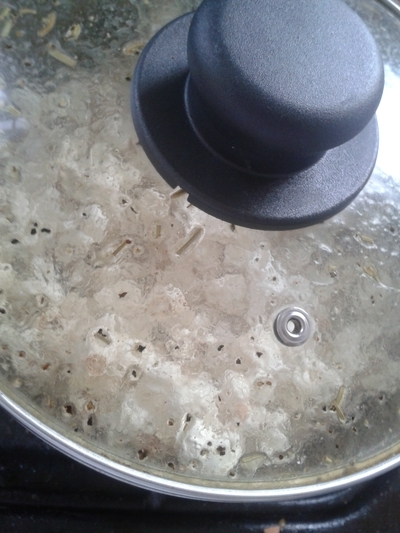 Leave to pop for 15 minutes. The corn should have popped, occasionally shake the pan from side to side to ensure it doesn't stick to the bottom. 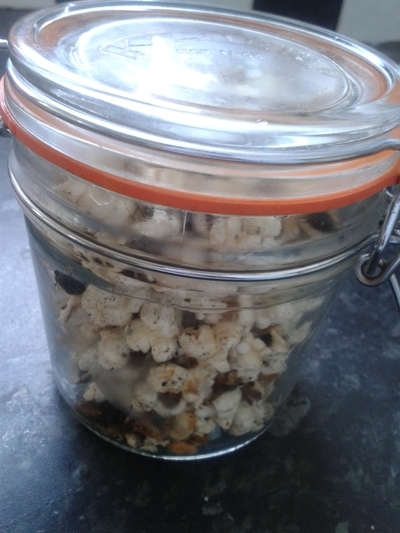 Transfer the popcorn to a bowl/jar. 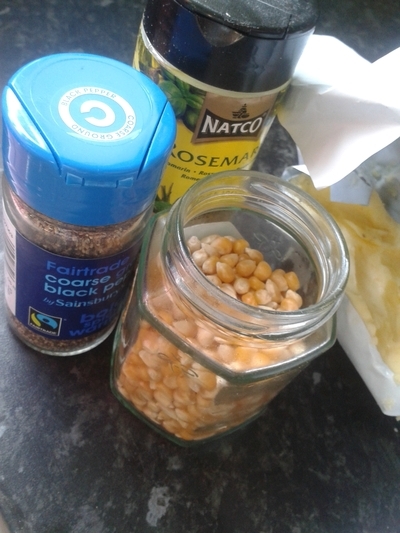 Either serve your little ones a bowl of this savoury snack immediately, or store in an airtight container, to be enjoyed over the next two days.